CONCORD – State budgets reflect lawmakers’ priorities and what they believe are the greatest needs. Garry Rayno is InDepthNH.org’s State House Bureau Chief. He is pictured in the press room at the State House in Concord. Sununu’s budget plan exhibits some basic goals. It spends the more than $100 million surplus on one-time projects or expenditures and not to grow programs and policies that will require continued spending in the years ahead. It adds no new taxes and fees, and favors specific projects and programs over more encompassing mechanisms such as revenue sharing with cities and towns or general education funding. Much of the surplus funds are used for Health and Human Services construction in the mental health areas, proposals contained in the new 10-year mental health plan, and eliminating the wait list for services to the developmentally disabled. The governor’s second proposed budget also indicates areas that are not his priority such as higher education, legal services for the poor, new environmental projects for communities and renewable energy. While his budget level funds the University System of New Hampshire, and gives a small increase to the Community College System of New Hampshire, he proposes one-time projects like rebuilding the early childhood center at the University of New Hampshire and money to upgrade technology infrastructure at community colleges. He cut the budget for New Hampshire Legal Services in half while increasing funding for the NH Coalition Against Domestic and Sexual Violence. Sununu’s budget eliminates the Education Trust Fund which was created 20 years ago when the legislature established the new education funding system to address the Supreme Court’s two Claremont education lawsuit decisions. The trust fund was created to ensure revenue raised for education would go to that purpose, which included new revenue from increased rates for business and tobacco taxes, lottery revenues, the statewide utility property tax, and tobacco settlement money. The fund once received money from the so-called donor towns, those whose statewide education property tax produced more money than required to cover their adequate education costs, but has not collected the excess money for 15 years or so. For most of its existence, money from its revenue stream was insufficient to cover the state’s share of the cost of an adequate education, so state education aid had to be supplemented with general fund money. But for the past few years, the fund has run a surplus which this fiscal year is expected to be between $65 million and $80 million and Sununu’s budget would use that surplus for a school building program for property-poor communities, which would have a difficult time passing any bond that would increase local property taxes. By doing away with the education trust fund, the surplus money could be used as general funds or purposes other than education. With the trust in place the surplus funds have to be used for education. One of the House’s top priorities was providing more state education aid, particularly to the property-poor communities that struggle to provide basic educational services to their children because of high property taxes. Consequently the House retained the Education Trust Fund and realigned some other education costs by bringing them under the fund instead of using general fund money. The House also added $150 million in revenue from a capital gains tax, which allowed the House to increase state aid by $184 million by re-instituting the fiscal disparity aid program and increasing per pupil aid for students on the free and reduced lunch program, to help the property-poor communities. The House also returned stabilization grants to their original levels after several years of 4 percent cuts. The House Finance Committee did not stop there. It increased funding for the Community College System by $14.1 million over the two budget years and the university system by $12 million with $7.5 million of that in the second year in return for an agreement by system officials to freeze in-state tuition. However, the House proposed budget does not include money for the early childhood center or nursing and technology programs or for renovating a classroom building at the UNH campus, all included in Sununu’s budget. Perhaps the most visible difference between the House plan and the governor’s is a 40-bed facility to house people currently held in the secure psychiatric unit at the men’s state prison in Concord, a controversial facility. Sununu proposes spending $26 million on a new building on the New Hampshire Hospital grounds and has touted the plan as a project whose time has come and a way to answer long-time concerns raised by families of those held in the current facility. The unit houses those with mental illness who are a danger to themselves and others but the number of people is far short of filling a 40-bed facility. The House budget writers removed the money and the new facility from their budget and replaced it with an advisory committee to help transition the residents from the prison to another facility. House finance said no plans were presented and few details were shared, so it would be irresponsible to include such a project. Both sides view this as a political gift and have ratcheted up the rhetoric so any compromise in the near term is unlikely. The House budget proposal also increased funding for children and family services in a number of areas by over $40 million, while adding more child safety workers than Sununu. He included funding for more workers but most believe not the number needed to reduce case loads enough to truly protect children. House budget writers also increased funding to eliminate the developmentally disabled wait list and increase salaries in an attempt to attract workers to fill many unfilled position. Behavioral health, which includes substance abuse treatment, recovery and prevention, also was boosted by the House. Some of the changes made by the House Finance Committee will allow the state to qualify for matching federal aid for the first time. While both the House and Sununu boosted money for Health and Human Services, the Democrats focused on social service programs, while Sununu focused on infrastructure and one-time expenses. The Democratically controlled House has a very different philosophy of governing than the governor. Democrats see the surplus funds sitting out there as a way to increase funding for programs they believe are chronically underfunded. Sununu sees the money as a way to make investments in long needed physical structures that will provide space for the programs to be more efficient. Sununu wants to use the surplus for fixing parking garages in Laconia, building a water park in Franklin and restoration for the victims of the Financial Resources Mortgage scandal 10 years ago. Instead of these individual products, the House proposes spending the surplus on things that would help the entire state such as re-instituting revenue sharing with cities an towns — although at a much lower level than when the program was eliminated in the great recession — and increasing state education aid for every school district through returning the stabilization grants to their original levels. House budget writers will win this round in the perennial budget battle because Democrats have the votes to approve the House Finance Committee’s recommended budget. The Senate will do its magic over the next six weeks, although the finished product will look more like the House’s version than the governor’s. Then Sununu will have to decide if he can accept the changes the legislature makes to his proposal and word now around the State House is he won’t. Then the horse-trading begins and trying to suss where that goes is impossible. It appears a long, hot summer beckons legislative budget writers and the governor. 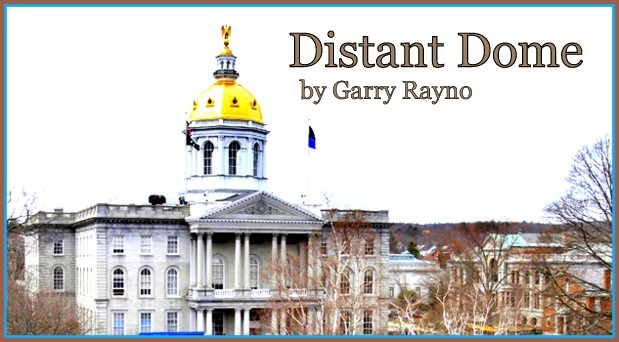 Distant Dome by veteran journalist Garry Rayno explores a broader perspective on the State House and state happenings for InDepthNH.org. Over his three-decade career, Rayno covered the NH State House for the New Hampshire Union Leader and Foster’s Daily Democrat. 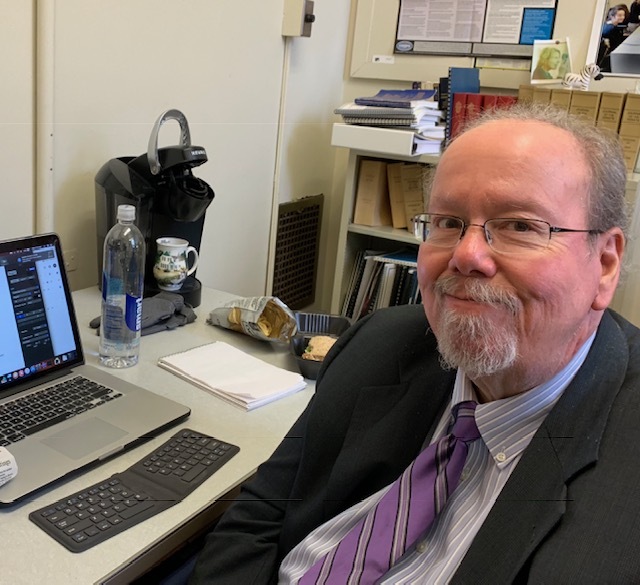 During his career, his coverage spanned the news spectrum, from local planning, school and select boards, to national issues such as electric industry deregulation and Presidential primaries. Rayno lives with his wife Carolyn in New London. InDepthNH.org is New Hampshire’s only nonprofit, online news outlet dedicated to holding government accountable and giving voice to marginalized people, places and ideas. The opinions expressed are those of the writer.